The UK’s first specialist employment law website – emplaw online – has been re-launched in January 2015 to provide authoritative, independent and up-to-date information to lawyers, advisors, HR professionals and anyone keen to stay on top of employment law. Constantia Associates, of which Ian Perry and I are the major shareholders, bought the website after it went into liquidation in 2014 due to dated content and technical problems. I am an employment solicitor and former Head of Employment Policy and Freelance Legal Affairs for the BBC, while Ian is an IT programme manager, traditionally working with national and international organisations. Between purchase and relaunch, we have completely updated and refocused the site both from a content and technology point of view. The site now provides thousands of pages of comprehensive and up to date information, covering all aspects of employment law, from age discrimination to unfair dismissal, TUPE and data protection, as well as the latest employment law developments and cases. 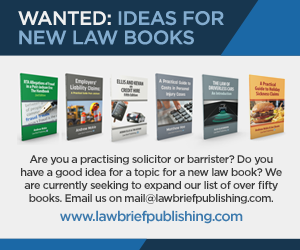 All content is provided by leading practicing solicitors and barristers. The use of Drupal means the new site is much easier to update and an improved search engine function allows subscribers to easily find the information they need. There is a free version and an enhanced subscription service. Since re-launch the site’s subscriber base has been growing steadily and includes government departments, judges and advisory agencies; employment lawyers in private practice; commercial businesses; unions and employer and employee advisory organisations. We saw emplaw online as a perfect opportunity to combine my enthusiasm for employment law – I still work as a consultant – with Ian’s IT expertise to dramatically improve the site and fill a gap in the market. We believe emplaw online is the perfect platform to give advisors of employers and employees access to up-to-the-minute authoritative information in an easy-to-use format at a reasonable cost. There is a high demand for online information about employment law because it is such a tricky area, which affects all businesses and workers and is constantly evolving. 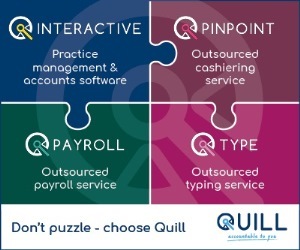 This also means that the online employment law and HR arena is very competitive, but having sufficient detail presented in an easily accessible and affordable way is where emplaw online fits in. emplaw online offers a thorough and up-to-date insight into the legal issues and supporting cases as well as links to practical government and Acas material. This allows subscribers to fully understand what the law requires and why. This not only aids compliance but when disputes arise, the site is an invaluable tool in the assessment of risks and liabilities. Meanwhile, our small business model allows us to offer the benefits of emplaw online at a reasonable price. When we took over the site, we wrote to former subscribers, asking for their views and also spoke to a substantial sample of them over the phone and in person, which really informed our redevelopment of the site. As emplaw did before, we continue to provide an archive of thousands of case summaries, which subscribers said they found invaluable for in-depth research, and an A-Z index of employment law linked to digestible information presented in law “cards”. Content is written by experienced specialists with their individual insight into their subjects. Also, as was the case with the previous owners, we have a respected pedigree of integrity, intelligence and independence and are a small business which can value its customers on an individual basis. New hosting provider and IT infrastructure. Our Devon-based IT team have redeveloped the site from the ground up using Drupal, a content management framework used to build websites for organisations such as the White House and American Express. This enables us to provide a stable and supportable service and the ability to develop enhanced features as we go forward. Named experts. Content is provided by leading barristers and law firms. Each author is attributed on the site and, whilst we ensure that cards provide the necessary detail and that there is some consistency in presentation, each author is encouraged to share their insights. emplaw online is not simply a “vanilla” law update service. Information more easily accessible. We’ve kept the concept of law cards for each topic, but the cards are presented in a much clearer way with subheadings that can be searched and linked from the content list on the right hand side of each card. Each card also has hyperlinks to related cards, cases and the relevant third party sites such as GOV.UK. Up to date. Our priority is to keep the information on the site current at all times. The law cards and cases are updated monthly and, in the interim, developments are reported on the site’s News page. A monthly newsletter – emplaw monthly – offers subscribers a considered review of the month’s cases and employment law news. Improved A-Z and general search function. The search functions have been improved and refined. A modern, fresh look and feel. Featuring contemporary and less trite imagery. We are determined to maintain the site’s place in the market as an up-to-date, authoritative and cost-effective source of information on employment law. 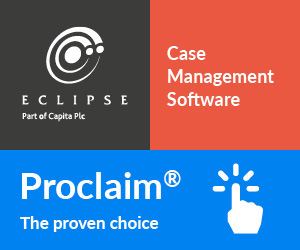 We have an open approach and will continue to grow the content to fulfil the demands of modern-day employment law users. We will go on harnessing latest technologies to improve user experience – an ongoing incremental process and one which is likely to include facilitating more effective team working between users within the same organisation. Building on our steadily growing subscriber base will enable us to increase investment in all the above areas. Henry Scrope, the founder of the business, qualified as a solicitor in 1968 and went on to work for a leading city law firm and in-house for an international group of companies. In the early 1990s, he started to design and prepare content for an employment law computer programme, originally for his own use and as a study aid. The programme became known as e-LOAD (Law on a Disc) and began to attract interest from 1993, which led to its commercialisation. In the late 1990s, there was no dedicated website for UK employment law and Henry recognised the internet an opportunity to make the programme more accessible and to enable linking to cases and other material. By February 1997, the entire programme had been modified and went live as www.emplaw.co.uk, the first British employment law site on the web. Henry sold the business in 2011. Claire Perry trained and worked as a solicitor at city firm Ince & Co before moving in-house to the BBC where she was the Legal Advisor for HR and then Head of Employment Policy and Freelance Legal Affairs. Since then she has worked as a consultant for specialist practices and written regularly on employment law. She still practises part time as well as managing emplaw online.